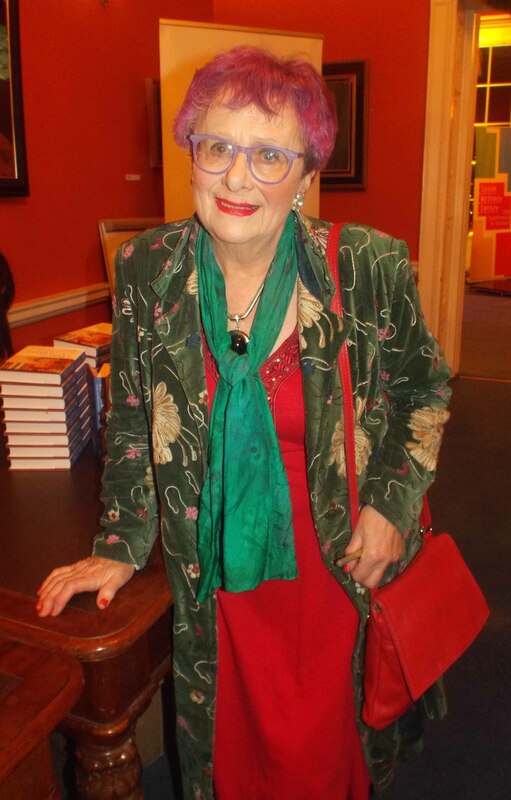 As book launches go that for Mary Kenny’s latest book A Day at a Time was a most enjoyable affair. 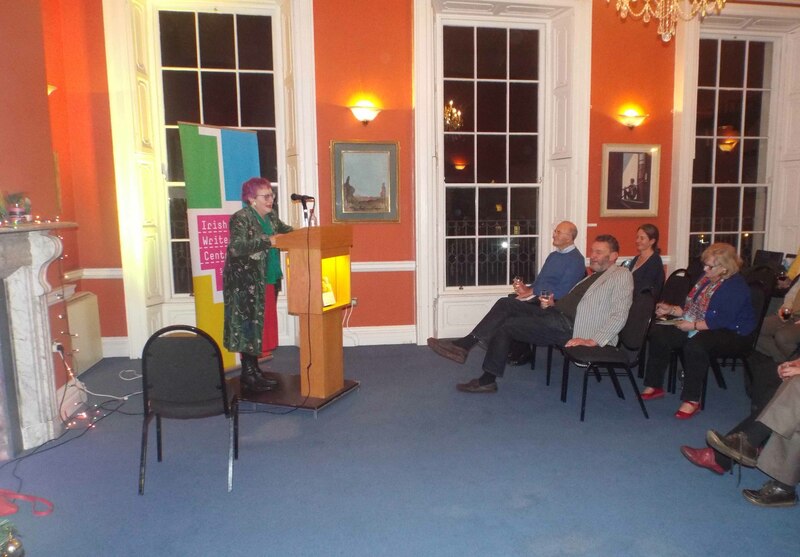 It was in the Irish Writers’ Centre in Parnell Square, a perfect place for a book launch, and the festive decorations and brightly-lit Christmas tree added to the cosy atmosphere. The book is a collection of stories and anecdotes, both inspirational and poignant, set over the four seasons by a writer with much to say from a lifetime of writing. Mary Kenny is a broadcaster, playwright and journalist who has worked for many newspapers and writes with verve and much humour. It’s a treat and, no doubt, it will make its way into plenty of Christmas stockings! 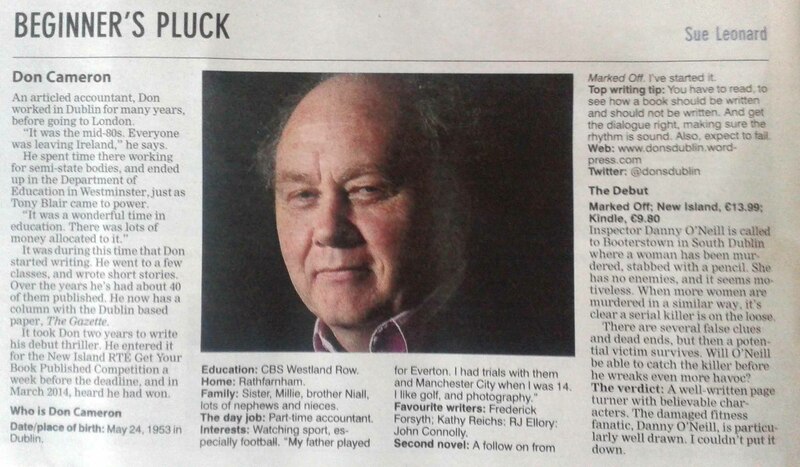 I was recently invited by Irish Interest to do an interview for their website. It took place near Seapoint and, thankfully, the weather was on its best behaviour! 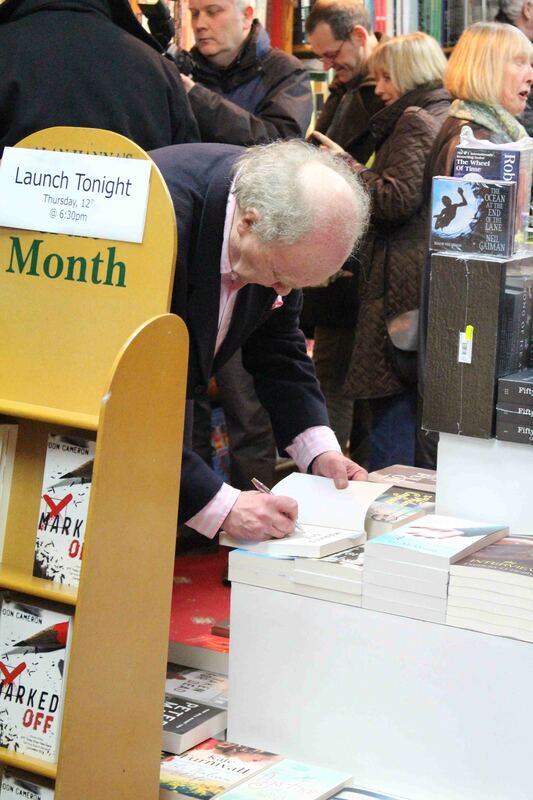 It’s hard to believe but a year has passed since my book Marked Off was launched. 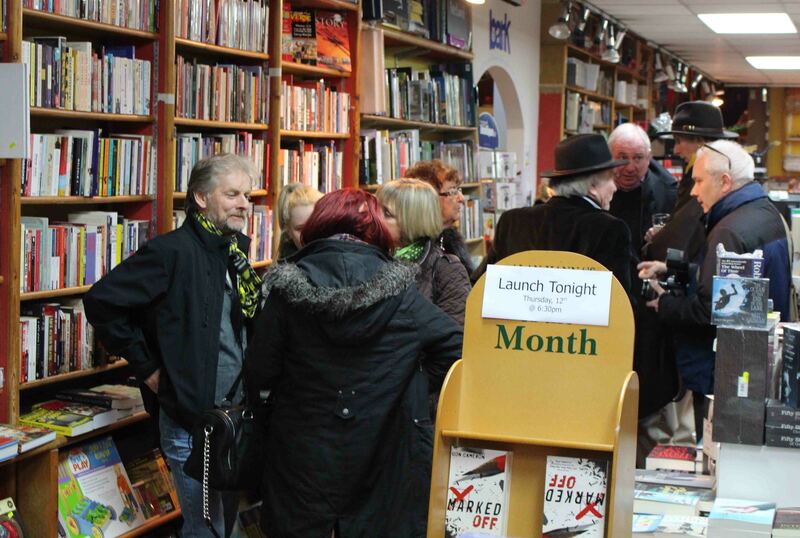 It was a wonderful night in Hanna’s Book Shop in Rathmines and, thankfully, there have many good reviews in newspapers and literary websites since. And a few appearances on television and radio shows were really great fun. Anyway, thanks one and all for your support and encouragement, and here’s to an even better new year! A few photographs from the Big Night! What is your photograph of the year? Well, that’s something I’ve seen a lot of recently as newspapers, magazines and websites select their favourites. It’s a difficult job, but in my case it was an easy one. 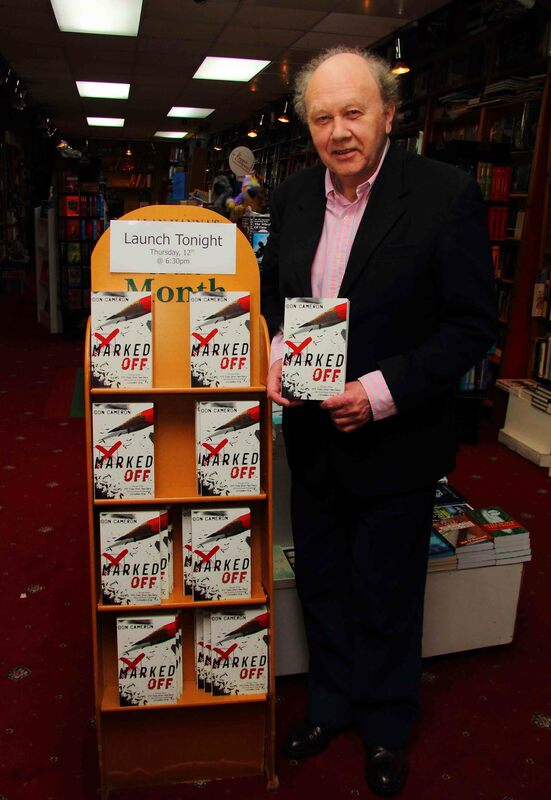 My debut novel MARKED OFF was launched in February (2015) and when a friend sent me this photograph it really made my day….and year. Ad astra! 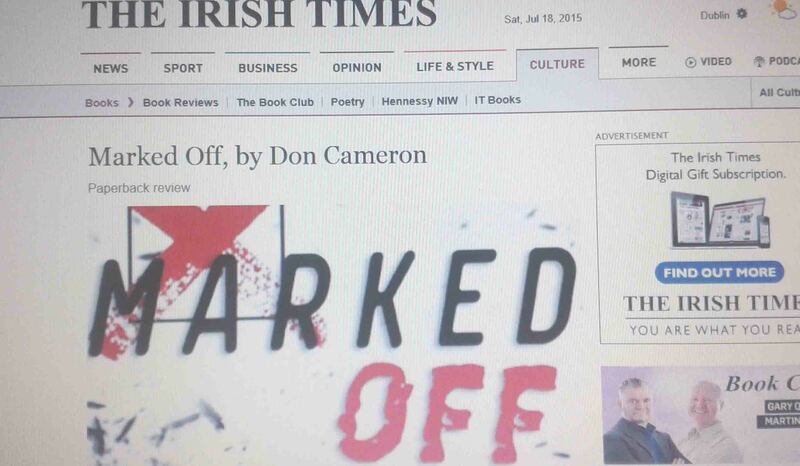 MARKED OFF – a bestseller! 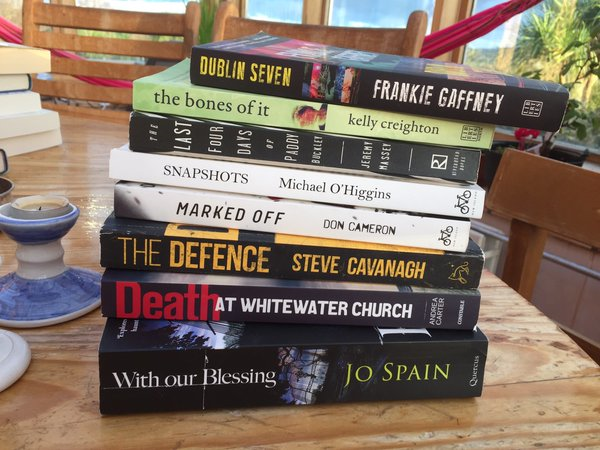 Sue Leonard has suggested that BGEIrish Book Awards should have an award for a debut crime novel. I wholeheartedly agree with her and the winner is…. 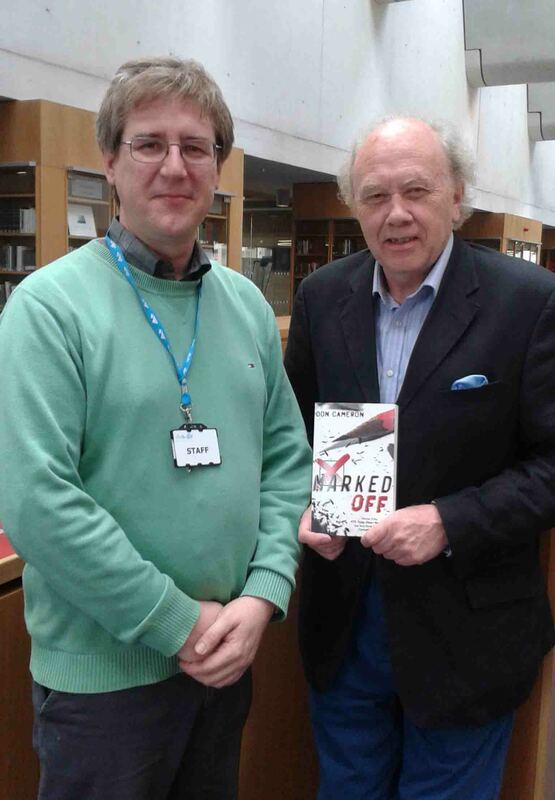 Recently, I had the great pleasure of presenting my book Marked Off to the new DLR Lexicon library. 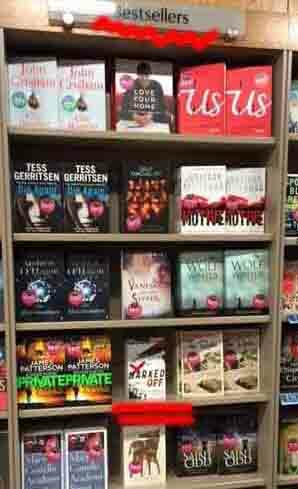 And, as most of the story takes place within Dun Laoghaire/Rathdown (DLR) it is appropriate that it should ‘find a home’ in the library. 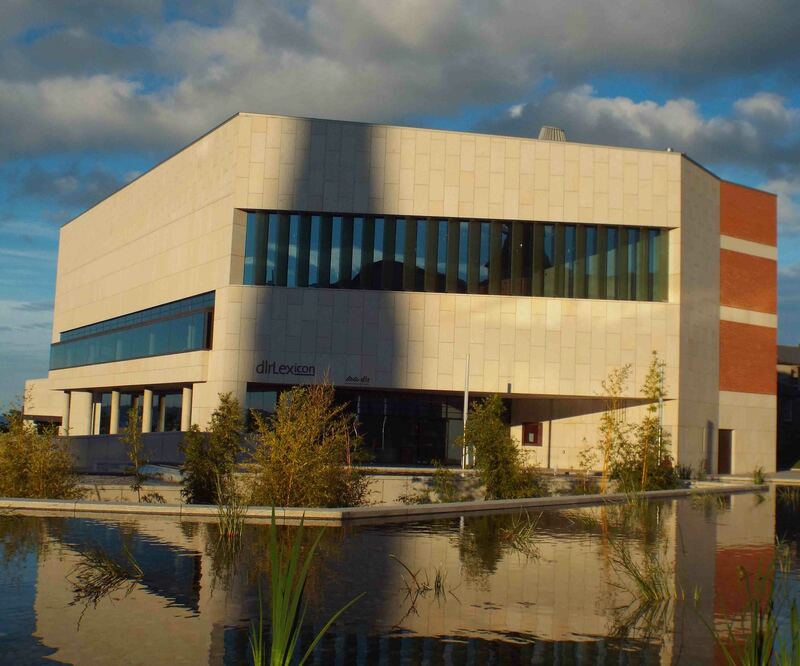 Many thanks to DLR Libraries and Nigel Curtin for the opportunity – it is really appreciated. 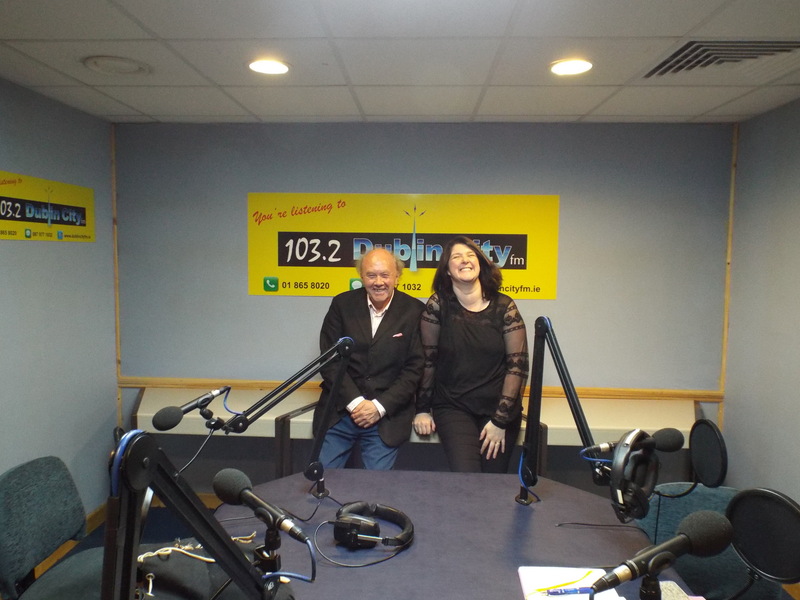 Hi, here is the recording of my interview with Grainne Brookfield on Dublin City FM’s literary show the Book Club.